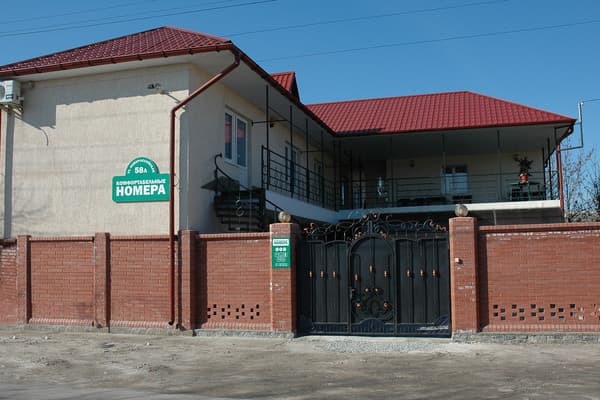 Hotel "Comfortable rooms" is located near the sea (7-10 min walking) - this is a small two-storey building with comfortable rooms and parking. There are 13 one-room suites with all conveniences. All rooms are made of environmentally friendly materials. Cold and hot water is always available. Each room has air conditioning. To the services of residents - a cozy courtyard, brazier, guarded parking with video surveillance, cable TV, board games and much more. For an additional payment, vacationers can order 3 meals a day. The food can be adjusted at will (for example, breakfast only). 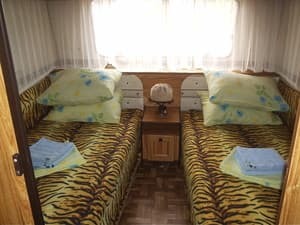 It also offers accommodation in a camping camp located at the recreation center "Pilot", which is located at the very beginning of the Berdyansk spit. Cozy, clean and well-groomed beach, soft sand and proximity to the sea will make your vacation in an unforgettable car camping. The distance from the hotel to the railway station is 2.5 km, to the bus station - 3.3 km. 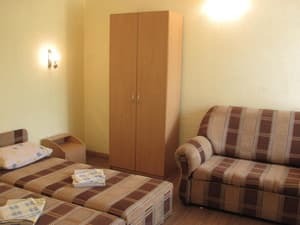 Description of the room: One room with an area of ​​15 sq.m. Comfortable beds, sofas, practical and modern furniture. Accommodation 2-4 people. 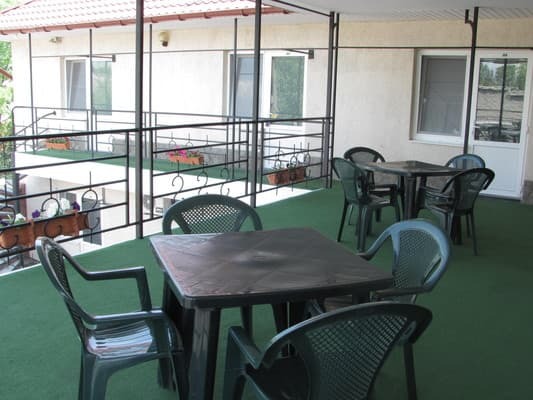 Description of the room: Autocamping is a relatively new and attractive type of recreation. 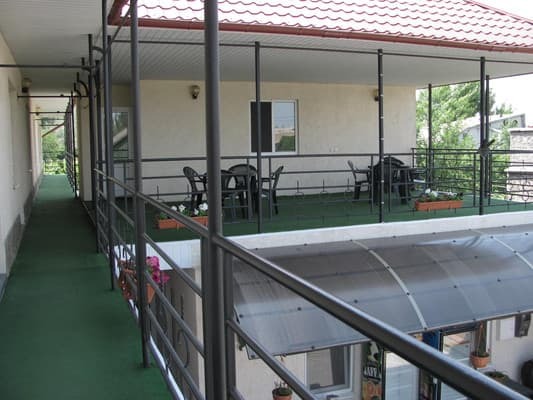 We offer accommodation in two-room apartments. A summer shower, a washbasin and a toilet are located near the campsite. 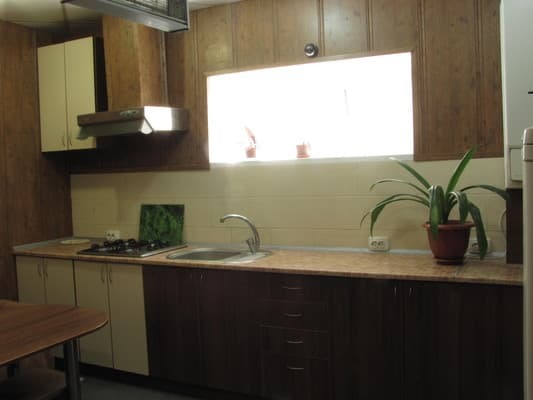 To the beach - 20 m, cafe - 10 m, dining room - 5 m. Hot shower and toilet in the next building. Приветливые хозяева. Можно приезжать с животными. До моря надо идти через жд пути. На общей кухне мало посуды, нет моющего средства. To the sea - 10 minutes walk - the 3rd beach (Berdyansk Bay); 15 minutes by shuttle bus before the beginning of the Berdyansk spit or Verkhovaya (open sea). 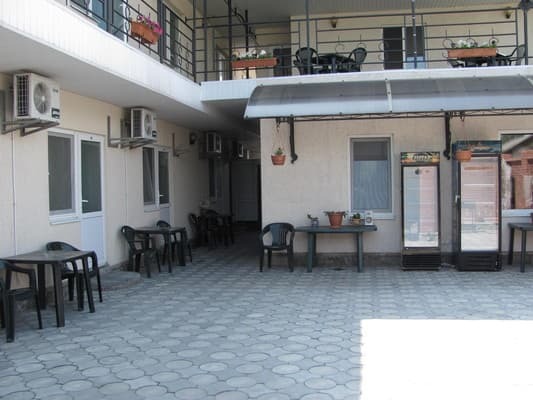 Private hotel "Comfortable rooms" is located near the railway station (2.5 km) and junctions. The distance to the bus station is 3.3 km. The camping site is located near the biggest water park in Ukraine "Cape of Good Hope". In nearby sanatoriums by agreement. On fixed-route taxi No. 10 and No. 20 (to the stop "Novorossiyskaya Street"). The interval of movement is 10-15 minutes. Nna car, the main landmark - it's "Broken Bridge" (so the local population called it a bizarre shape).